Car Accidents - Jerry Martillotti & Associates, P.C. 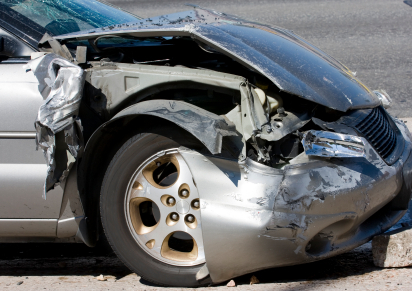 If you have been injured in a car accident, what are your rights? While an insurance adjustor may answer your questions, the adjustor works for the insurance company and needs to protect the company's interests. The more serious your injuries - especially if they require surgery, extended treatment, or time away from work - the more you need a personal injury lawyer to advocate for your rights. CONTACT the JERRY MARTILLOTTI & ASSOCIATES law firm to help you file and work through your claim. Take care of your injuries. Your first need after a car accident is to get medical treatment. Find out the extent of your injuries and follow treatment recommendations. Talk to an attorney, not an insurance company. When you are recovering from an injury, you are not in the best condition to answer an insurance company's detailed questions. Report the accident, but then talk to a personal injury lawyer. At Jerry Martillotti & Associates, we are ready to listen and protect your interests and make that call to the insurance company for you. Act quickly. The sooner you talk to an auto accident attorney, the better. The accident evidence and witness accounts will still be fresh. There is a statute of limitations in all states that will limit your time to file a claim. The impact of lost wages, accumulating medical bills, and other expenses can be overwhelming to injured individuals and their families. If you or a loved one has been involved in a car accident, speak with a lawyer who is committed to you and your case. Contact us at Jerry Martillotti & Associates and we can help you. The initial consultation is always free and we can come and meet you at your home if you are in need of a home visit. We handle cases in Pennsylvania, New York, New Jersey, Maryland and the District of Columbia.